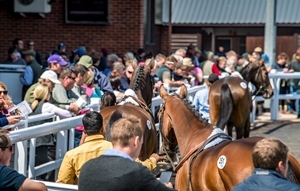 The UK's largest NH Horses-in-Training & Point-to-Point Sale which sold horses up to £280,000 in 2018. Entries due 24 April. 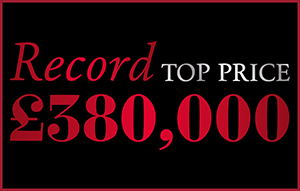 A Classic winning sale that sold yearlings up to a record £380,000 in 2018. Graduates include Advertise, Harry Angel & Laurens. Taking nominations now. Shares a catalogue with, and held the day following, the Premier Sale. Sold yearlings up to £55,000 which graduates including The Mackem Bullet. Thank you for nominating your horse(s) with Goffs UK. The status of your nominations can be viewed on your website profile page, currently they are pending. You will be notified once a decision has been made regarding your nomination(s) and if they are accepted, you will be able to complete the entry process online. You have been emailed a copy of your nominations for your records. You are about to delete this pending nomination. if you continue, the nomination will not be submitted to Goffs UK. 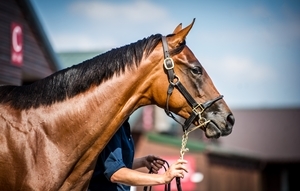 Thank you for entering your horse(s) with Goffs UK. You can view your entries right up until the time of the sale on your Goffs UK website profile page. Please note that you will receive a discount if you pay your entry before the sale catalogue publication date, please see the entries page of our website for the date. You have been emailed a copy of your entry for your records.